CHILLIWACK, B.C. – Excitement is brewing in Chilliwack B.C. as The Chopped Leaf opens a brand new location in the Salish Plaza today. Offering an assortment of chef-designed salads, whole bowls, and wraps, The Chopped Leaf makes customizing meals to suit any dietary needs simple and easy. With options to cater, dine-in or take-out, healthy meal choices have never been more convenient. Proudly Canadian, The Chopped Leaf has now over 85 locations open and committed to open within Canada and the USA. We are a lifestyle brand that offers delicious, handcrafted meals, served fresh and quick for a better-for-you experience. Find The Chopped Leaf on Facebook, Twitter, and Instagram or visit us at choppedleaf.ca. The Chopped Leaf is owned and managed by Innovative Food Brands. 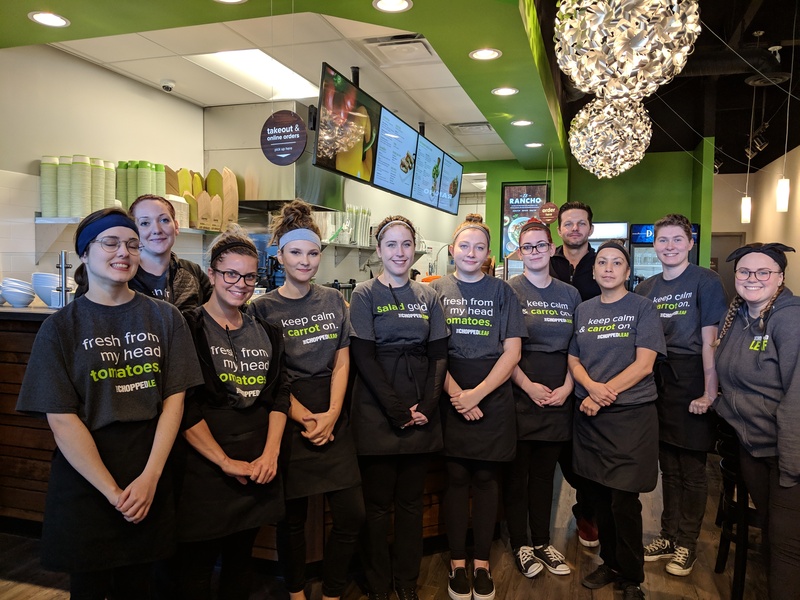 Airdrie, Alberta Welcomes Second Chopped Leaf!